Updated Saturday July 7, 2018 by Arizona Outlaws Lacrosse. 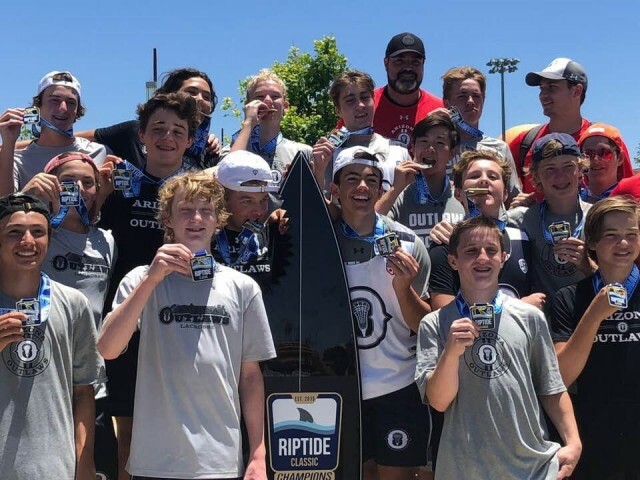 The Arizona Outlaws 2022 Silver Field Lacrosse Team beat the well-respected Seattle Stars 8-7 in the final to win the notable 3d Riptide tournament. This Outlaws team was the very first team to become Outlaws 3-years ago and since then have had many individual and team honors. This Arizona Outlaws 2022 team is now ranked nationally among the top teams in the country. We are lucky and proud to have an association with such a fine group of young men. We look forward to continued success with this group.